Have you ever wanted to take a yoga class but have little to no experience? Have you ever felt intimidated by showing up in a crowded unfamiliar space? If yes, then this workshop series is for you. Get an opportunity to ask questions and get help with alignment and poses. ​The purpose of this series is to give you a space to find your best feeling yoga practice. Ultimately giving you the confidence to take other yoga classes and feel comfortable making the practice your own by listening to the needs of your body. We will start with the basic building blocks of yoga; cultivating an inward focus, breath work, seated poses, standing poses, sun salutations and how to integrate your breath with movement. These classes will be taught workshop style that means you can ask questions! Many variations will be taught so you can find your best feeling practice and safe alignment for YOUR body. The last two classes will be taught like a regular flowing yoga class to help you integrate what you have learned. Come as you are, leave renewed! Open to all levels. No experience needed. Wear comfortable clothing. Premium yoga mats, and hand towels, bolsters and blocks are provided for each guest. No need to bring anything but yourself. You are always welcome to bring your own yoga mats/towels/etc if you like. Classes are led by Una Setia, Elev8 Yoga and Dance Instructor. Learn more about Una here. Your spot is waiting for you here. Register here. PREMIUM YOGA MATS, SMALL HAND TOWELS, BOLSTERS AND BLOCKS ARE ALWAYS PROVIDED FOR YOU. 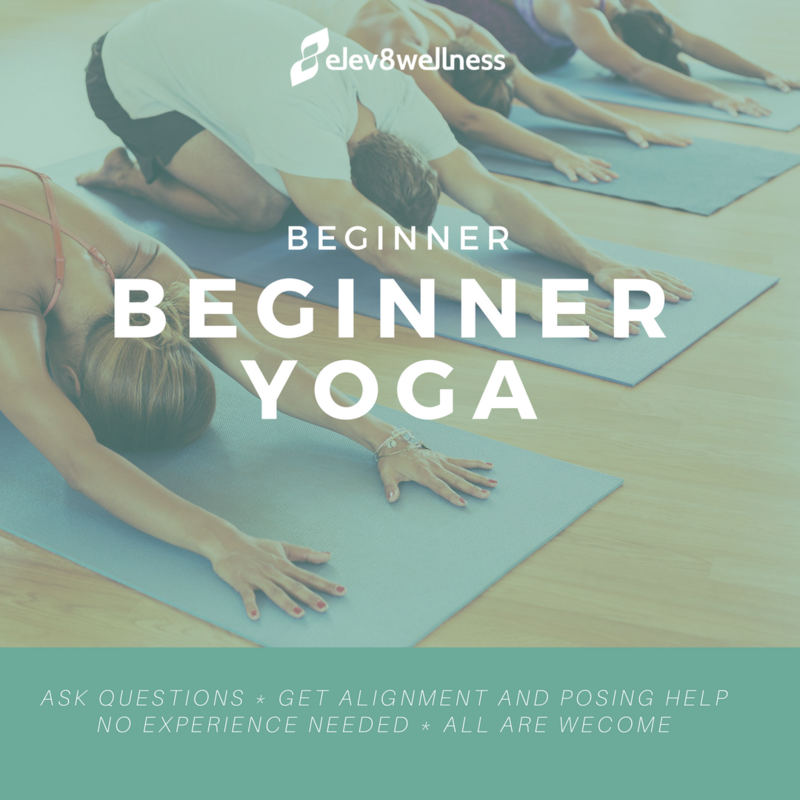 ​This is a beginner yoga class open to anyone and all ability levels.